Thanksgiving is of course a time for food, family and friends, but making GIVING a part of the holiday makes it that much more meaningful. Lang is so proud to support the Toys for Tots initiative here in Atlanta. Having the opportunity to make the holiday season brighter for kids throughout the local community is so very special to us. We invite you to learn more about Toys for Tots and consider donating toys or volunteering your time. We also proudly support Livvy’s Love, Princeton, GAC, Dekalb County FOP and the Tucker Tigers as well. 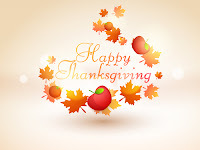 The Lang teams wishes you and your loved ones a Happy Thanksgiving and holiday season. Thank you for continually welcoming us as a part of the Metro Atlanta community.